Young Creators will be organising the 13th edition of Young Creators Live, hosted, once again, at TQ. Join us for another inspirational night full of top talent and innovation. During this edition, you will hear from Roland Kahn, founder and CEO of Cool Investments. He will share what motivated him to start and keep up so young and what, he believes, the future of clothing stores looks like. Come ask questions to the panel, engage in conversation with other creators and expand your network. If you, or anyone you know, is a young creator, this is an event you won't want to miss out on. Previous editions were sold out, so make sure to get a ticket and reserve a spot. Roland Kahn gained his first experience at the purchasing department of the Bijenkorf. In 1976 he opened his first store at the Nieuwendijk; three years later he had five boutiques and had opened an additional two CoolCat stores. Under his management, his growing chain survived the market crash of 1980 and came out stronger in spite of the struggle. Kahn now has an empire of approximately 420 stores. He not only founded CoolCat, but also owns America Today, MS Mode, SAPPH and is a real estate trader, all under the Cool Investments flag. Young Creators is a community of more than 30,000 young talents with sky-high ambitions. They help expand your network by connecting you with like minded peers and places. You'll also be able to find assignments, learn new things, discover interesting events and much more. 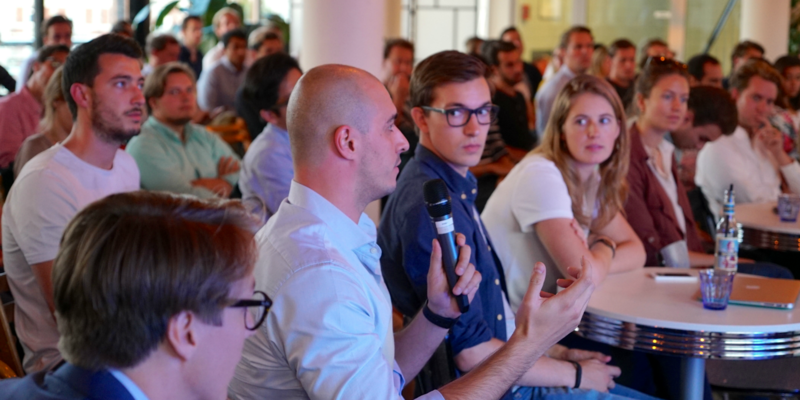 Want to attend curated events designed to help you grow your tech startup? Apply for membership in February and get your first month free.